Tom Sims, snowboarding legend and pioneer, died yesterday, September 12, 2012 near his home at Santa Barbara Cottage Hospital. Sims suffered sudden cardiac arrest. Sims is survived by his wife Hilary, sister Margie Sims Klinger of Santa Barbara, sons Tommy and Shane, daughter Sarah and step daughters Alexa and Kylie Wagner. Sims built the first “skateboard for the snow” in 1963 and founded the SIMS® brand in 1976. He continued to revolutionize the sport of snowboarding for nearly four decades. Sims brought several industry firsts to the world of snowboarding including the first snowboard, first metal edge snowboard, first pro-model snowboard, first women’s specific snowboard and the first folding highback bindings. 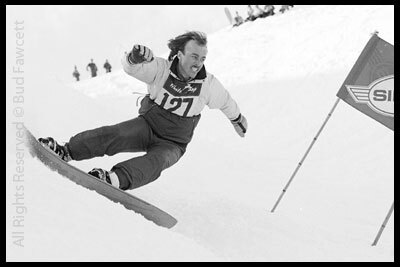 In addition to a lengthy list of podiums throughout his professional career, Sims was the primary snowboarding stunt double for "007" Roger Moore in the 1985 James Bond film A View to a Kill. Throughout the years, he continued to be a driving force within SIMS, leading the growth and progression of the brand. The Sims family wishes for all memorial donations to be directed to Santa Barbara Cottage Hospital. Online donations can be made in Sims honor here. The family will not be granting interviews at this time. Tom’s accomplishments speak for themselves. A true pioneer, Tom brought forward thinking concepts and innovations that forever changed the landscape of the snow and skate industry. R.I.P Tom. Thanks for all you did for skateboarding and snowboarding.